Joseph Campbell was 23, in Paris, in 1927. A scholar with a post-graduate fellowship, he encountered James Joyce's Ulysses, known for being praised and for kicking up controversy (including an obscenity trial in the US in 1920). As others had been, Campbell was a tad confused. Since he was in Paris he could visit the Shakespeare & Company bookstore outpost of the original publisher of Ulysses, Sylvia Beach. She gave him "clues" for reading Ulysses and that, Campbell attested, changed his career. In his wide-ranging, allusive style, Joyce provided ample room for Campbell's equally diverse interests in depth psychology, comparative religion, anthropology, and even art history. This work allows readers to experience Joyce from Campbell's extraordinary perspective. Readers share Campbell's visceral appreciation for all that was new in Joyce in a way that will delight the previously uninitiated, and perhaps intimidated,as well as longtime lovers of both Joyce and Campbell. 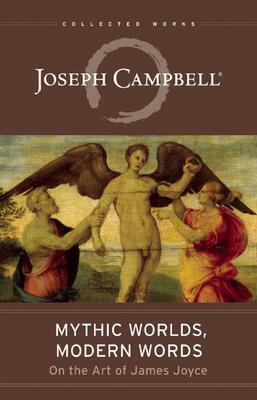 Joseph Campbell (1904–1987) wrote books, including The Power of Myth and Hero with a Thousand Faces that have sold well over five million copies. Edmund L. Epstein (1931–2012) founded and edited the first James Joyce journal, The James Joyce Review.